Tt eSPORTS, a division of Thermaltake Technology, presents the world’s first fan-cooled gaming chair – the X COMFORT AIR. Aside from the gaming chair aesthetics, the Tt eSPORTS X COMFORT AIR uses cooling fans to provide cooling coming underneath the seat. It aims to be an anti-fatigue feature and added comfort for long gaming sessions. 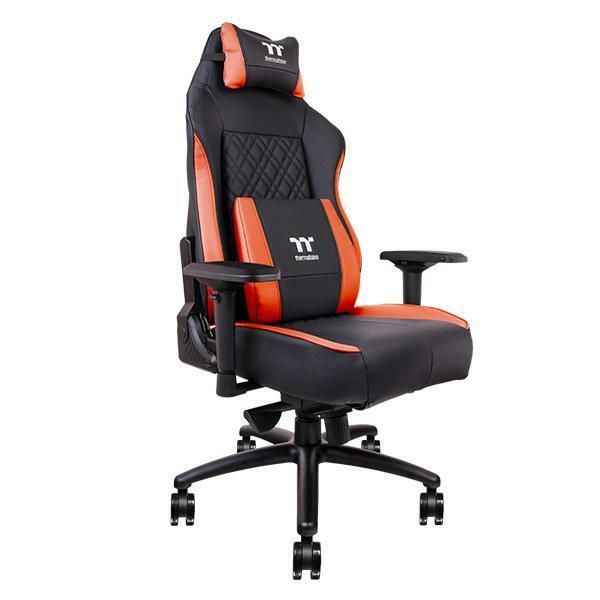 The Tt eSPORTS X COMFORT AIR Professional Gaming Chair comes in two colour models –black and black/red. 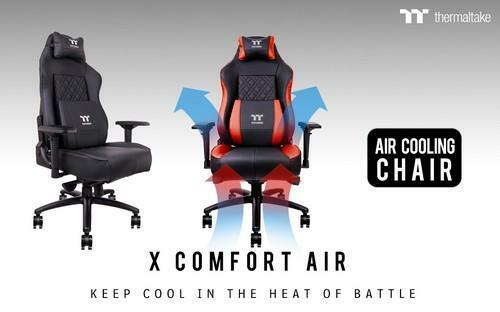 The Tt eSPORTS X COMFORT AIR uses cooling fans at the base seat with an aerodynamic compression design. The breathable mesh allows cooled air to pass-through and provides cooling. Cooling performance is controlled using 3-button controller that allows the user to control the cooling fan speed from off up to 5100RPM. 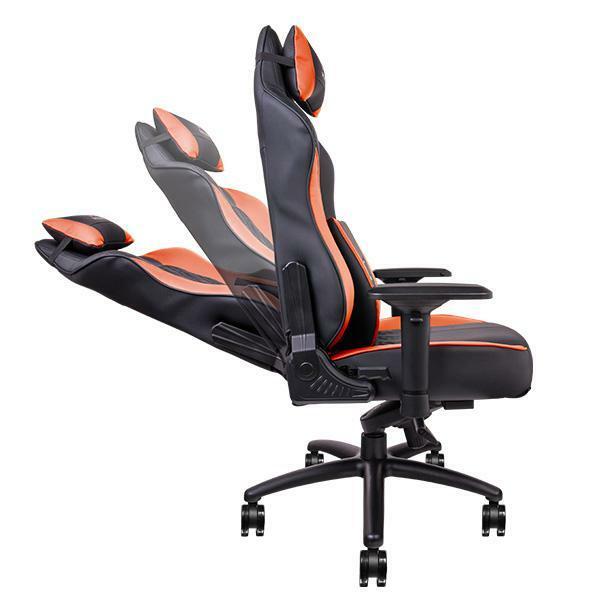 The gaming chair uses a five-fan blade cooling fan with a wind blocker frame that improves lifespan extending it up to 75,000 hours. The X COMFORT AIR features an ergonomic design and high-quality materials offering comfort and durability to withstand intense gaming action. It is covered with 75kg/m3 density foam padding for enhanced support. It packs a powerful class-4 gas piston for easy height adjustment of the seat and a durable 5-star aluminium base. The X COMFORT AIR’s Z-support multifunction tilt mechanism will enable users to tilt the back effortlessly while maintaining support and stability. For more information, visit the Thermaltake website.